The historic costume collection at the Royal Opera House is the largest collection of theatre costumes in the UK that is still housed by its parent theatre. 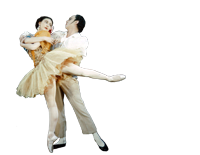 It contains 5000 items, mostly from productions created for The Royal Ballet, The Royal Opera and The Birmingham Royal Ballet (1946–97). The collection includes costumes worn by members of the chorus and corps de ballet as well as the principal singers and dancers. All types of costumes are represented as designed to be worn by such diverse characters as kings and queens, peasants and soldiers, fairies and ghosts, citizens and Greek gods, and representing all periods and styles. All parts of a costume are collected, including the accompanying accessories such as wigs, bald pates, facial hair, hats, headdresses, jewellery, gloves, swords, underwear, tights, shoes and boots. Most costumes and accessories are made in the specialist workshops within the Royal Opera House Production Wardrobe Department which were established in 1946. Different departments make the costumes, wigs, hats and jewellery, and the dye shop dyes and ‘distresses’ fabrics to the designers’ requirements. There are separate ballet and opera shoe departments and an armoury which cares for both authentic weapons and those created as props. Costumes are contained in some of the Special Collections within the ROH Collections, and not all have been made at the Royal Opera House. 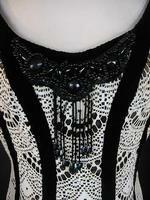 For example, most costumes in the Eva Turner Collection were made in Italy and have makers’ labels from Milan. Costumes are chosen for a variety of reasons. We try to provide a representative survey of all the works performed by the Companies, including popular ballets and operas but also more obscure works that may have received only a few performances. Certain works are considered particularly important in the history of the Companies and so more costumes may be chosen from these, for example The Royal Opera’s 1958 production of Don Carlos or different productions of The Sleeping Beauty, a signature work for The Royal Ballet. The significance of the designer, the interest of the costume itself as a piece of design, the craftsmanship in its construction and execution and the significance of the wearer will all also affect the choice. The earliest opera items in the collection are a pair of shoes worn by Adelina Patti, the reigning soprano at the Royal Italian Opera from her debut in 1861 until her retirement in 1888. The white satin shoes with lace and diamanté decoration were worn by Patti both as Violetta in Giuseppe Verdi’s La traviata and as Lucia in Gaetano Donizetti’s Lucia di Lammermoor. The shoes form part of a collection donated to the Royal Opera House by the great British soprano, Eva Turner, which provides one of the finest records of the wardrobe of a major singer of the 1920s and 30s. Other 'early' costumes include those designed by Attilio Comelli for Puccini’s La bohème in 1899, and some chorus costumes stamped with the logo of the Grand Opera Syndicate, 1902. Post-war productions represent the work of great artists and stage designers such as Barbara Hepworth (The Midsummer Marriage), Salvador Dali (Salome), Franco Zeffirelli (Lucia di Lammermoor), David Hockney (L’Enfant et les sortilèges, The Nightingale), Antony McDonald (Chérubin) and Paul Brown (Falstaff). Costumes worn by Joan Sutherland, Maria Callas, Tito Gobbi, Boris Christoff, Placidó Domingo, Luciano Pavarotti, Kiri Te Kanawa, Bryn Terfel, Angela Gheourghiu and Karita Mattila cover a range of roles. The earliest ballet item in the collection is a single pointe shoe worn in the 1930s by Ninette de Valois, dancer, choreographer and Founder of The Royal Ballet. The majority of ballet items cover the history of performances by The Royal Ballet and The Birmingham Royal Ballet from the 1940s onwards. 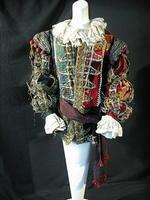 The earliest costumes are for Robert Helpmann’s ballet Hamlet, designed by Leslie Hurry in 1942. 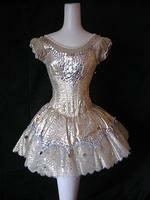 There are also numerous costumes for successive productions of Swan Lake, designed by Hurry between 1943 and 1979. The Sleeping Beauty is represented by costumes from all productions performed by The Royal Ballet from 1946, the production designed by Oliver Messel that reopened the Royal Opera House, to Maria Bjornsson’s lavish production of 1994. 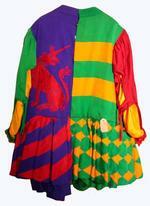 There are costumes and accessories designed by great artists and designers such as Cecil Beaton (Marguerite and Armand), Derek Jarman (Jazz Calendar), Nicholas Georgiadis (Romeo and Juliet, The Nutcracker), David Walker (The Dream), Robin and Christopher Ironside (Sylvia) and Osbert Lancaster (La Fille mal gardée). The collection includes costumes worn by Margot Fonteyn, Robert Helpmann, Rudolf Nureyev, Lynn Seymour, Anya Linden, Beryl Grey, Sylvie Guillem, Jonathan Cope, Darcey Bussell and many more. Once costumes are added to the ROH Collections, they become an additional research tool for people interested in the history of the Royal Opera House and its Companies. 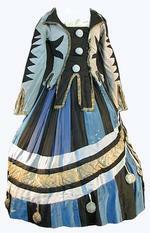 Costumes are used by the wardrobe department when ballets or operas are returning to the repertory after an absence of some years. They provide inspiration for designers and artists. They are included in exhibitions both at the Royal Opera House and on loan to outside venues. The costumes and accessories are all made to the highest standard and are superb examples of the art of the designer and the skills of the wardrobe staff at the Royal Opera House. We hope that access to the catalogue and digital images here will enable more people to enjoy and appreciate this part of the ROH Collections and the work of the Royal Opera House.